Spherion® Staffing Services is a leading recruiting and staffing provider that specializes in placing administrative, clerical, customer service, light industrial, non-clinical healthcare and professional talent in temporary and full-time opportunities. As an industry pioneer for more than 65 years, Spherion has sourced, screened and placed millions of individuals in virtually every industry through a network of offices across the United States. Spherion offers companies a unique combination of personalized customer service backed by the resources, knowledge and geographic breadth of a $2 billion dollar workforce leader. Last year we helped more than 8,000 clients find the right talent to meet their workforce goals. Each local office is individually owned and operated by a team of staffing specialists who are known throughout the community, well-acquainted with your business and supported by a strong network of talent. Spherion understands the trends and nuances of staffing which enables us to guide our franchise offices and to help them meet their growth goals. Our franchisees, some of which are second generation franchisees, have a long history of contributing their talent, commitment and passion to building our brand, strengthening the system and enjoying the satisfaction and rewards that come from being part of a winning team. Our company and our industry have stood the test of time. The estimated initial capital requirements range between $97,700 – $163,200 for franchisees. This includes the initial franchise fee and estimated working capital reserves needed. You will operate in a defined, protected territory. The initial term is 10 years with successive five-year renewal periods normally available. Your success, as well as ours, is tied to your growth and profitability. Organic growth can be a great way to achieve that and many of our franchisees have opened more than one office. We have a comprehensive training program all new franchisees must successfully complete through on-site, online, and classroom-based training. Training topics covered include all the areas you need, including operations, risk management, sales and marketing. You will be assigned a Regional Vice President and Director of Operations that will support your office and who are familiar with all facets of the business. They will help you get started and continue to help you throughout your tenure as a franchisee; their role is to help you grow your office. On average, each member of the franchise team has 15 years of experience in the staffing industry. In addition, the company offers a variety of resources though our Corporate Service Center and via our intranet which is one of the best in the industry. "They have the best of the best in Sandy Mazur and they are still to me, the very best in Staffing you will find in the United States. Their standard for service is very high and I am proud to represent that. " "Sr. Leadership is eager and supportive to manage issues and roadblocks that preclude one from moving the business forward. The bureaucracy in some of the back-end processes need improvement and are difficult to maneuver thus taking away from value added work. " "The communication and sharing of best practices among franchise owners is absolutely incredible and supported by the company as well!" "They identify areas that need improvement and work diligently to make the necessary improvements. They are continually making new tools and offerings available to us. There is a genuine desire to support Owners to grow and be profitable." 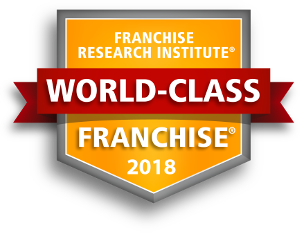 "Very responsive with continual guidance and communication; has developed several methods to facilitate communication between the franchisees as well as communication to and from the franchisor." "The support system within the Spherion organization is beyond exceptional. They will help for anything and everything."